Dangle 600 meters in thin air while roaring forward at 140 km per hour 1.8 km long! 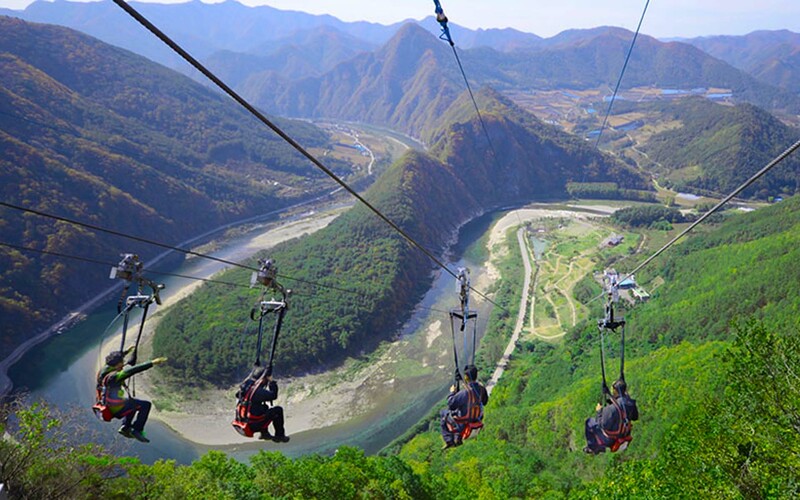 The world’s tallest and longest zipline! 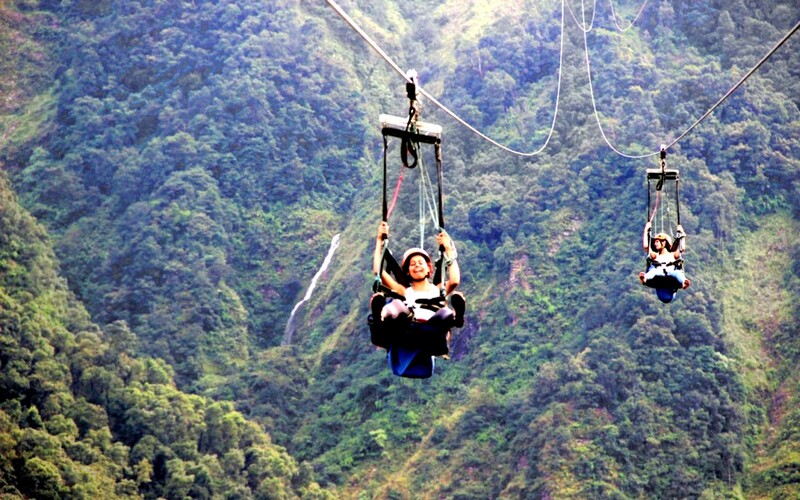 Nepal now offers the rush of extreme zip lining, the first of its kind in the whole of Asia. Zip flying in Nepal is not just another zipline; it is the world’s longest, steepest and fastest zip-line to give you the ultimate adventure experience. 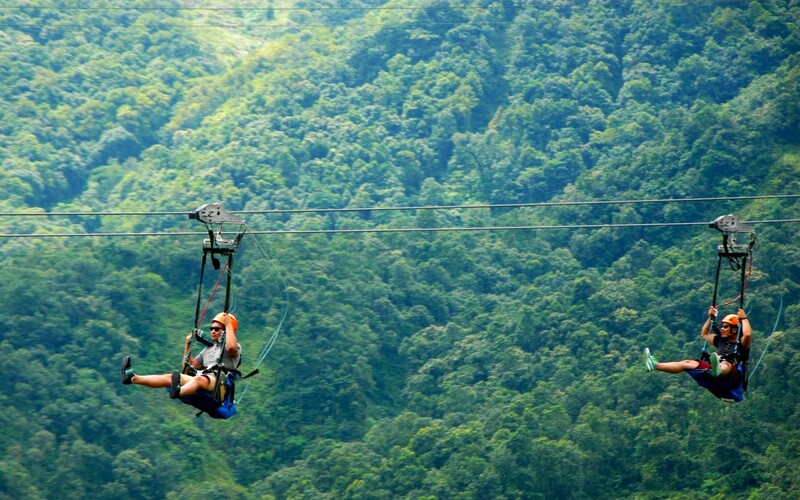 Zipling, an adventure activity in Pokhara, Nepal. The launch pad is situated at the peak of Sarangkot, Pokhara, offering most spectacular views of the Annapurna mountain range and the Pokhara Valley below. Zip flying has been in operation since June 2, 2012. Safety is the leading criteria, and the system by Zip-flyer TM LLC, USA is designed with the most advanced technologies, and has delivered a state-of-the-art zipline. So get ready to experience the ultimate adrenaline rush! 1 Drive from Lakeside, pokhara to Zip-Flyer Launchpad, 2 minutes of breathing ride & Drop back to Pickup point. Pictures, videos and merchandise will be available to purchase at the souvenir shop. 1Drive from Lakeside, pokhara to Zip-Flyer Launchpad, 2 minutes of breathing ride & Drop back to Pickup point. Participants must be between 35 and 125 kg (75 and 275 pounds) and should be comfortable with heights. The ride is not recommended for individuals with back or neck problems, or those who are pregnant. Age restriction: adults and children aged 12 and older only. No alcohol may be consumed by the rider prior to talking the ride.